In its scramble to reflate the biggest asset-bubble in hopes of inflating away the $233 billion in global debt, which at 318% of world GDP has never been higher, the Fed took a wrong turn somewhere, and instead of successfully sending "inflation" assets into the stratosphere, it successfully "reflated" deflationary assets. 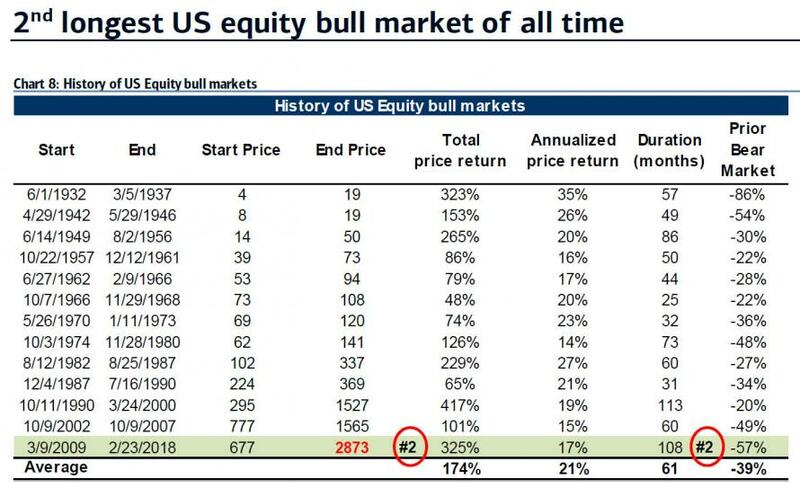 And, as happens every time the Fed tries to manage asset prices, it has blown another bubble. 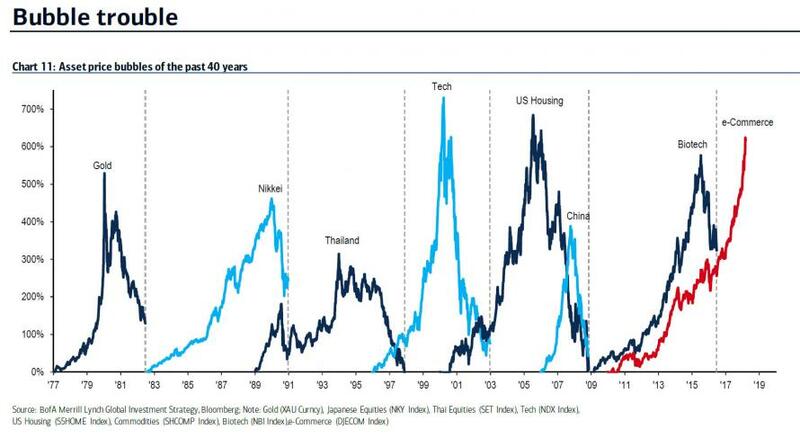 As BofA's Michael Hartnett writes, the "lowest interest rates in 5,000 years have guaranteed a melt-up trade in risk assets", which Hartnett has called the Icarus Trade since late 2015, and points out that the latest, "e-Commerce" bubble, which consists of AMZN, NFLX, GOOG, TWTR, EBAY, FB, is up 617% since the financial crisis, making it the 3rd largest bubble of the past 40 years, and at this rate - assuming no major drop in the 6 constituent stocks - the e-Commerce bubble is set to become the largest bubble of all time over the next few months.